Description: When executing critical activities your safety demand increases. Your in-house rescue team may need support to carefully plan and ensure work is done safely and emergencies are properly dealt with. 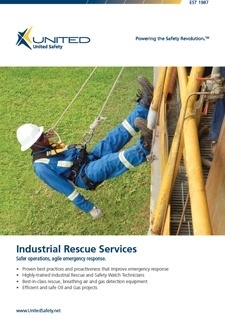 United Safety Industrial Rescue Services cover Confined Space and High Angle rescue operations and encompass equipment, personnel and processes necessary to perform rescue and emergency response in industrial and upstream environments in a safe and timely manner.